For easy access to SDSU, we recommend staying in one of the areas listed below. Staying in Old Town is recommended because it is short taxi or shuttle ride from the airport and only a 22 minute trolley ride to SDSU. The neighborhood has a variety of restaurants and most hotels are a 5-10 minute walk to the transit station. Below are just a few of the many hotel options available. *Special rate could be available for SDSU visitors, call hotel to inquire. While not located in Old Town proper, shops and restaurants are a 10-15 minute walk away. After dinner a cab ride from the main street to the hotel is a good, low cost option. 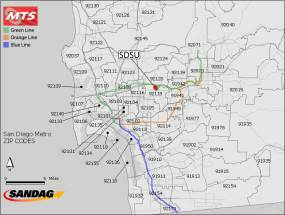 This area of San Diego is located half way between the airport and SDSU. Not all hotels in the area are an easy walk to the trolley station. If you will depend on public transportation please consider these options. This hotel is a three minute walk to the Hazard Center Station and a 14 minute trolley ride to SDSU. This hotel is a seven minute walk to the Rio Vista Station an 11 minute trolley ride to SDSU. Known as the heart of San Diego’s nightlife, the Gaslamp Quarter is close to the airport and waterfront but a little further from SDSU than other areas. There are numerous hotel options within walking distance of the quarter's four trolley stations. Travel time to SDSU on the trolley is between 30-40 minutes; ask your hotel for directions to the nearest station. SDSU is a normally 15-20 minute car ride from this area. 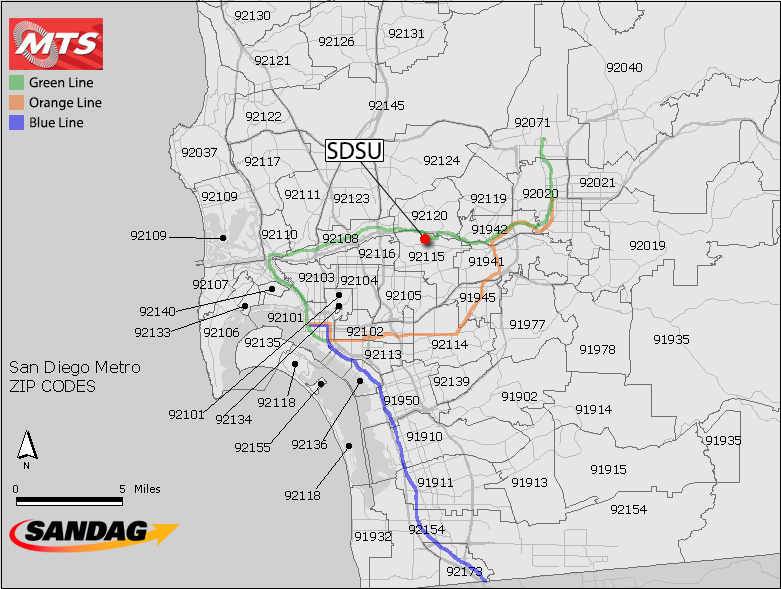 Hotel options near SDSU are limited and furthest from the airport; a taxi will cost $40+. There are not many options for evening activities. Some rooms are equipped with kitchenettes. This hotel is about a 10 minute walk and 8 minute bus ride to SDSU. *Special SDSU visitor rate could be available, call hotel to inquire. This hotel is a 4 minute walk to the Grantville Station and 4 minute trolley ride to SDSU.